A crew in a MH-60 Jayhawk helicopter hoisted one man from the water and took him to Air Station Clearwater. The U.S. Coast Guard is still trying to find the man who died. The U.S. Coast Guard said crews rescued one man but could not rescue another after a boat capsized Friday about 54 miles west of Tampa. 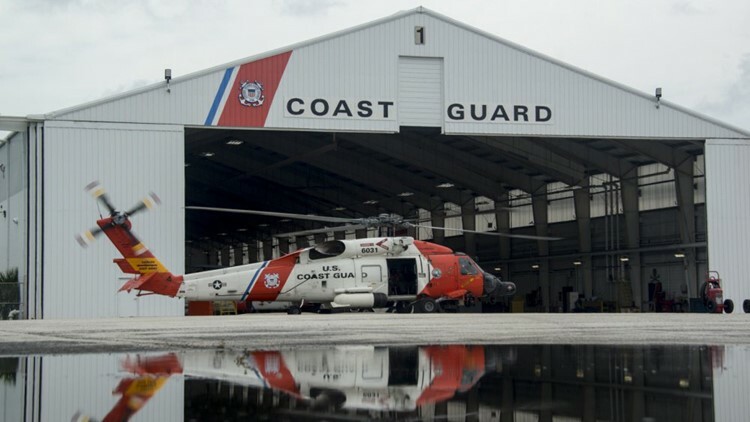 Coast Guard Air Station Clearwater crews are still trying to find the man who died. A crew in a MH-60 Jayhawk helicopter hoisted one man from the water and took him to Air Station Clearwater. There was no word on his medical condition as of Friday morning. A coast guard boat also helped with search and rescue. The Coast Guard received an emergency signal of the distressed boaters.